All products are designed and made in the UK with consideration for sustainability. For how to make an order or purchase a product please contact Ruth by phone on 0775 443 6463 or email rm@ruthmoserdesign.co.uk. Because of the unique nature of bespoke customer requirements please ask for a quotation. Please click on the images to see the complete range for each product type. Eclectic, statement art pieces using reclaimed historical furniture have been reinvented; upholstered using the striking vibrant textiles of the collections. Each fabric order is printed for the customer so there is plenty of flexibility to suit your particular interior requirements. Please ring me on 0775 443 6463 to discuss what you would like to order or to find out more information. 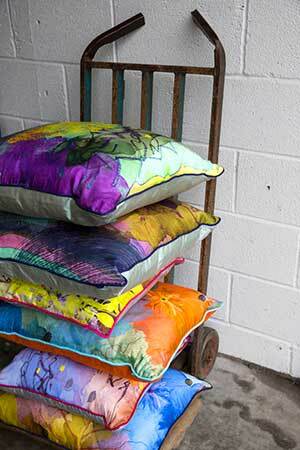 Cushions are produced to order in either silk dupion, velvet or organic cotton twill on feather pads. All designs are suitable for cushions. 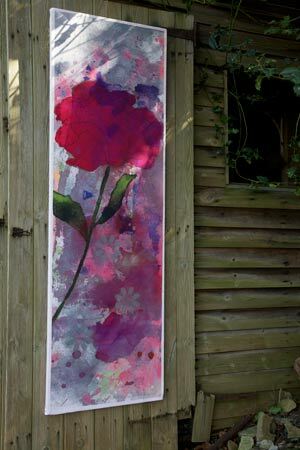 All designs can be ordered as wall panels printed on either silk dupion or organic cotton twill. 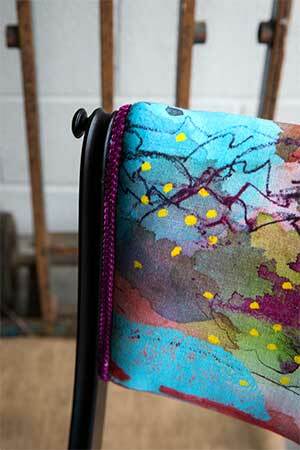 Fabric is stretched over recycled honeycomb board which is both light and very strong. The board is 100% recycleable, requiring no land fill. 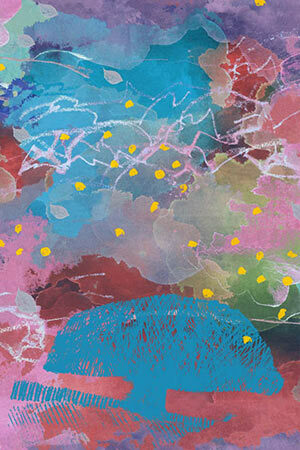 All wall panels are produced to a maximum limited edition of 200. Screen frames are hand made from Sycamore wood. Produced to order in either silk dupion or organic cotton twill in a variety of shapes and sizes. Products are made for each customer so there is plenty of flexibility to suit your particular interior requirements. 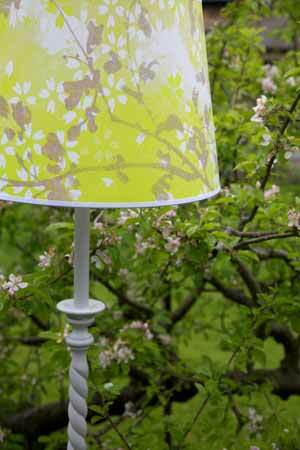 All designs are suitable for lampshades.